A guide to progression, keying, flagging, and access within The Serpent's Spine expansion. The Serpent's Spine expansion was announced on July 11, 2006, and went live on September 19, 2006. The initial expansion announcement may be found here. The initial patch message may be found here. After Venril Sathir's curse was released into the Nest and destroyed the dragon eggs, it was clear that the future of dragonkind was in danger. Six dragon children of the Nest — Venesh the Greenblood; Draton'ra, Master of the Void; Keikolin, Bringer of Enlightenment; Mysaphar, Seeker of All; Atathus the Red Lord; and Osh`vir the Windspirit — got together and called themselves the Circle of the Crystalwing. They went against the wishes of their Elders and created a new race to protect against the growing threats. Through recruitment, coercion, and even kidnapping, the Circle created the Drakkin, a race of dragon-touched humans, and used the abandoned Ogre city of Nokk within the Serpent's Spine mountains to develop them. Grey - This creature is trivial to you and will give you no experience for killing it. Green - This creature is not much of a threat, but will still give you some experience. Light Blue - This creature is below your level, but high enough level to give you experience. Dark Blue - This creature is below your level, but a solid challenge, giving more experience than a light blue mob. White - This creature is the same level as you. Yellow - This creature is slightly above your level. Red - This creature is well above your level. Crossed Swords - You are currently in combat. Hour Glass - You are recovering from combat and cannot rest yet. In addition to the hourglass, there is a timer bar beneath the endurance bar that will count down as you get closer to being rested. Poison Drop - You are no longer in combat, but cannot rest because of a debuff that is affecting you. You must get rid of the debuff before you can rest. Certain debuffs now have a yellow border instead of a red one. These debuffs do not affect your ability to rest. Void - The void is the default icon and indicates that you are not in-combat and you can rest at any time. Energy Swirl - The energy swirl indicates that you are currently resting. A list of zones in The Serpent's Spine may be found here. 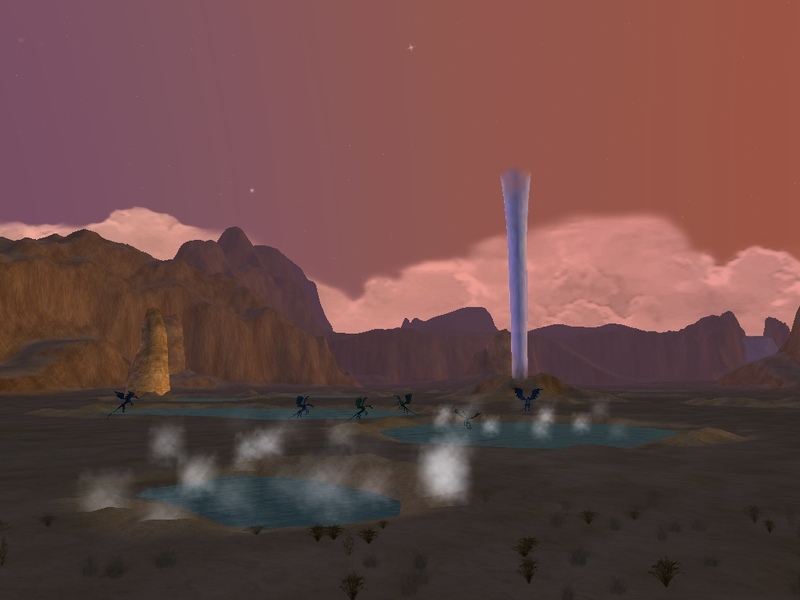 A screenshot of the animated in-game map of the mountains of Serpent's Spine may be found here. 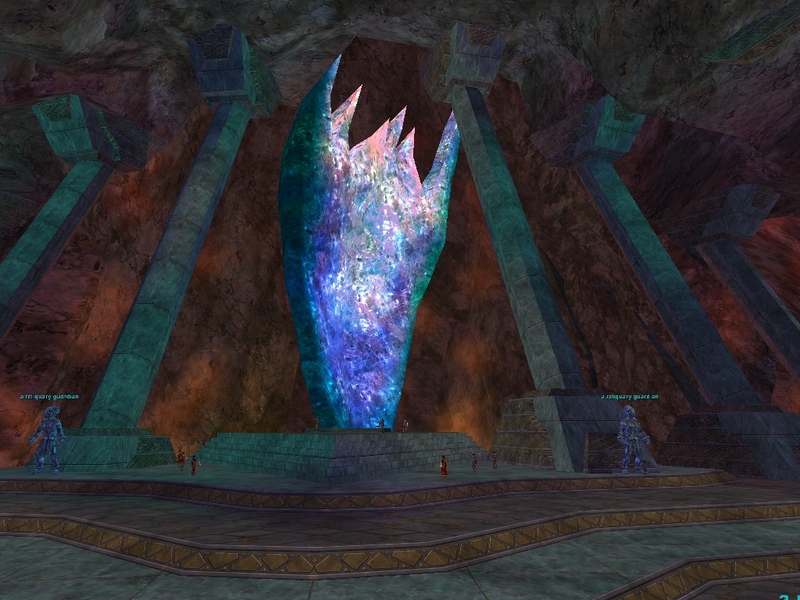 A portal stone to Crescent Reach in the neutral section of the Plane of Knowledge (just west of the Plane of Tranquility stone) will land you in a safe area of Blightfire Moors. The Blightfire Moors may also be reached through Highpass Hold. 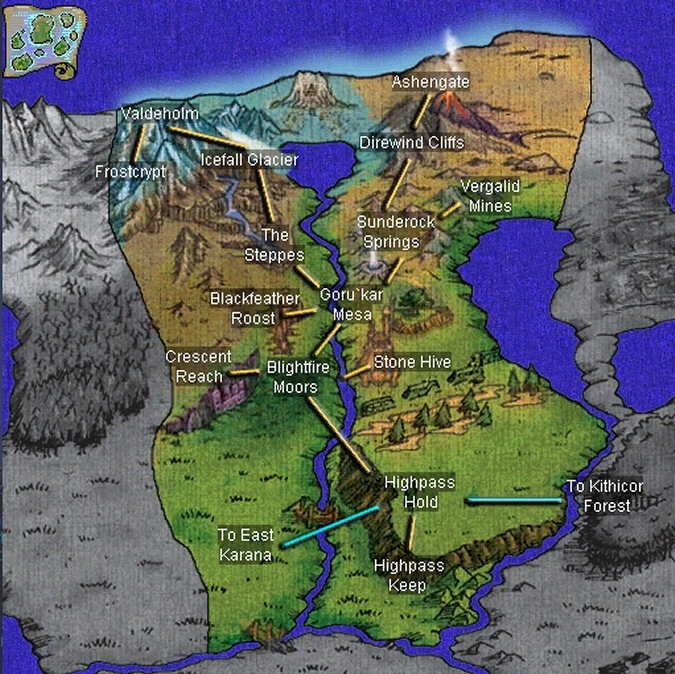 Wizards are able to port and translocate to Blightfire Moors, Sunderock Springs, and Icefall Glacier. Druids are able to port and translocate to Blightfire Moors, Direwind Cliffs, and The Steppes. One character per account recives Scepter of Draconic Calling ("/claim 10"). Its effect is a self-port to Crescent Reach reuseable after 72 minutes. Goru'kar Mesa is a destination in the Guild Hall portal. Most spells in this expansion are tiered. When you scribe a Rank II spell in your book, the Rank I spell will be overwritten; likewise for Rank III. Bards: Raistedas Curlbraids in Goru'kar Mesa (-665, +1025). Beastlords: Tavin of the Wild in Icefall Glacier (-2105, -1135). Berserkers: Sensei Splitscale in Sunderock Springs (-1430, +850). Clerics: Kalladrahn the Pure in Sunderock Springs (-1390, +825). Druids: Rang Kelliam in The Steppes (-340, +280). Enchanters: a bixie imposter in Stone Hive (hedge maze; +585, -995). 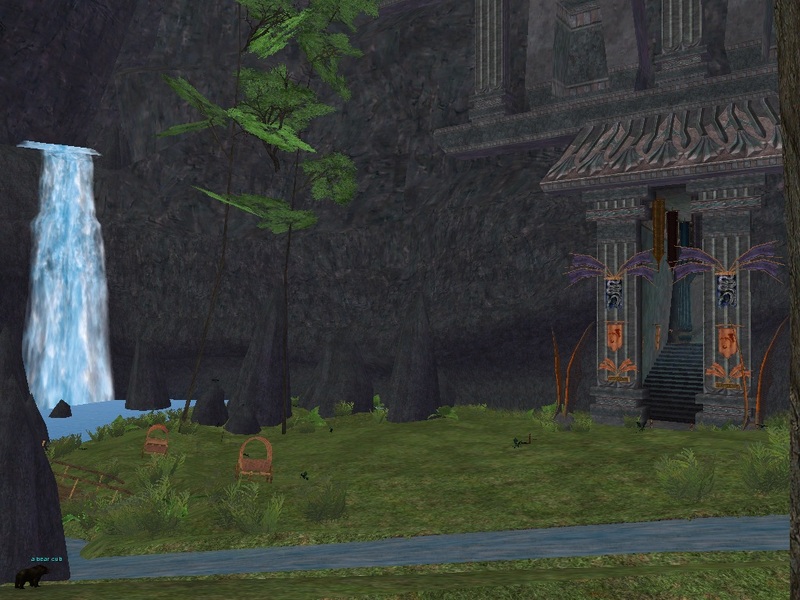 Magicians: Pesha of the Mist in Sunderock Springs (+1615, -1065). Monks: Sensei Splitscale in Sunderock Springs (-1430, +850). Necromancers: Outcast Sayrus in Direwind (-1120, -515). Paladins: Inquisitor Harona in Sunderock Springs (-1385, +795). Rangers: Hemmet, Master Sureshot in The Steppes (-700, +1305). Rogues: Sensei Splitscale in Sunderock Springs (-1430, +850). Shadowknights: Outcast Erralock in Direwind (-1120, -515). Shamans: Ezna Connoy in Icefall Glacier (-2105, -1135). Warriors: Sensei Splitscale in Sunderock Springs (-1430, +850). Wizards: Jaelle Florica in Goru'kar Mesa (-720, +1020). Rank II spells are dropped randomly throughout upper level zones (Ashengate, Frostcrypt, Direwind Cliffs, Valdeholm, Icefall Glacier, The Steppes and Sunderock), and are droppable. Rank III spells are obtained through raids, and are NO TRADE. Loot Glowing Obsidian Runes from various raid encounters and hand then to Kalim'Kar the Gold in Ashengate through this quest. The Magician summon spells are dropped by random mobs. They are tradeable. The Enchanter Drakkin illusion is obtained through this quest from Assistant Avellone in Blightfire Moors. The illusion spell is NO TRADE. Druid portal spells are bought from Tienen the Wanderer in Direwind (-1255, -15), Emelia Daeren in The Steppes (+495, -1285), and Gray Peacebloom in Blightfire (+360, +1360). Wizard portal spells are bought from Kulvinia Brightflame in Blightfire (-145, +575). There are also various bane spells/skills for some classes. It is not known for sure what drops these (information about how to obtain them needed: email Railus or Fleven if you wish to share). Most areas in this expansion are open to everyone. In addition to the normal task system (where one task brings a reward), many tasks within the expansion are part of a series, with rewards coming after completing multiple tasks (the low level "Love in the Air" series, for example). To enter the depths of the Vergalid Mines, you must complete this short key quest. In order to participate in an Ashengate raid, you must have ally faction with Scholars of Solusek and Infiltrators and Traitors of Ashengate (click those links for lists of tasks to do to raise faction) ... AND have received the character flag at the end of the Vergalid's End raid. A 24-player Into the Leviathan's Lair raid from Sergeant Kazzar (standing next to Zheren). A 54-player Vergalid's End raid, also from Sergeant Kazzar. Note: In order to request this task, you must have completed Zheren's first four task and have participated in a successful Into the Leviathan's Lair 24-person raid. This task must be completed in conjunction with the Vergalid's End raid. The task "The Pretender" from Zhubis the Griffin Tamer at +960, -1045 in Direwind (south of Gatekeeper Kor, on the other side of the valley). Check the and Wraithguard Leadership faction listings to see all associated tasks and quests available through them. You may now request the Frostcrypt raid from Fergarin (say "Frostcrypt" to him) and zone in by saying "Fergarin" to Wraithguard Sergeant Thavin. 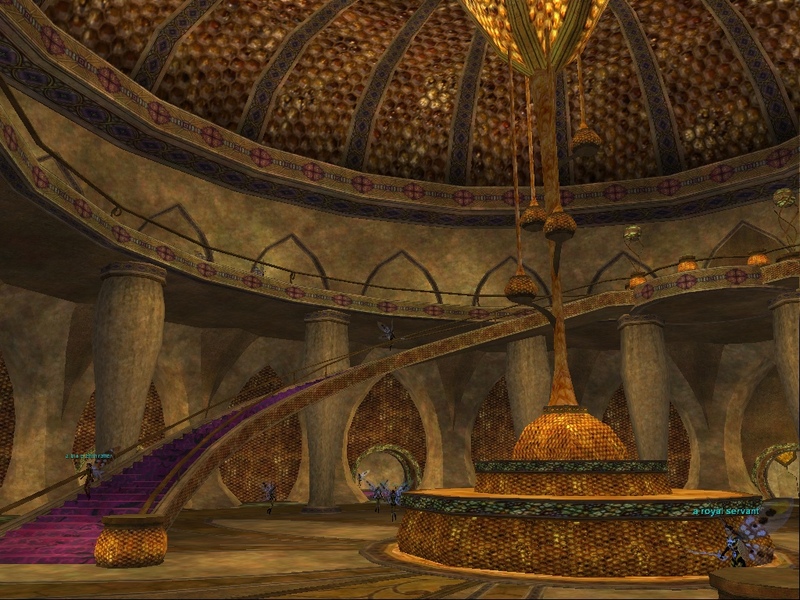 This quest involves the entire Serpent's Spine expansion, and involves collecting various artifacts from solo, group, and raid encounters in order to upgrade a charm received from Librarian Hemfar of Crescent Reach. Another quest involving the entire expansion is the Wanderlust Guild Charm series which begins with this task. Unless you can feign death, fade, or SOS by them, the two Guardians of the Gate in the Direwind Cliffs will probably cause you some annoyance. Complete three relatively quick tasks beginning with this one to bypass them. Some very good augmentations are rewarded after completion of these tasks: They are the discs of Warriors, Kings, and Heroes given by Rokiln the Hunter in Vergalid. Priests and Pure Casters can summon a familiar using the Direwolf Totem of Spirit obtained from this quest. Hybrids and Pure Melees can summon a familiar using the Direwolf Totem of Battle obtained from this quest. Many more tasks were added with the Serpent's Spine expansion. The list here is made up of the highlights. A complete list of TSS quests and tasks listed in the Allakhazam database can be found here (this is a premium-only link). Kimem Saydel in Crescent Reach offers armor quests for chain, leather, plate, and silk classes These quests result in armor pieces which have in the neighborhood of 10-25hp/mana/end. Scout Madu in Goru`kar Mesa offers armor quests involving Mesa mobs. These quests result in armor pieces which have in the neighborhood of 35-45hp/mana/end. Tenish in Crescent Reach offers armor quests for chain, leather, plate, and silk classes. These quests result in armor pieces which have in the neighborhood of 210-240hp/mana/end. Each piece may be upgraded to include stat bonuses as well (chain, leather, plate, and silk respectively). Terraxs in Crescent Reach also offers armor quests for chain, leather, plate, and silk classes. These quests result in armor pieces which have in the neighborhood of 450-475hp/mana/end. This page last modified 2014-12-16 21:56:11.